TAPForge creates 100% veteran-made hand-forged knives, with an emphasis on unique Damascus and pattern-welded steel. 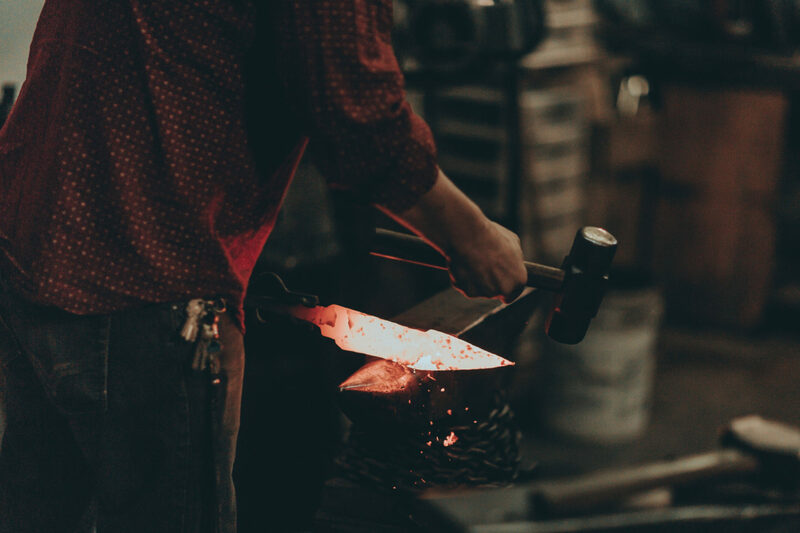 All knives are forged and handcrafted by Tucker Parris, an artisan blacksmith located in Southern California. Knives ship anywhere in the USA. Thank you for supporting a disabled veteran! All military veterans and active duty get a 10% discount!